United Way of New York City fights poverty across the five boroughs by making sure that thousands of low-income New Yorkers get the help they need right now while simultaneously working to inform and advance long-term policy changes that have the potential to affect millions of people living in poverty. 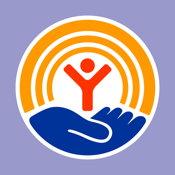 Download the free LIVE UNITED NYC app to take an active role in United Way of New York City’s events, advocacy opportunities, and more! At events you can tweet, take and share photos, refer to maps and schedules, and check in at key locations for tips and incentives. Year-round you can email your congressional representatives and make your voice heard on critical issues in New York City.